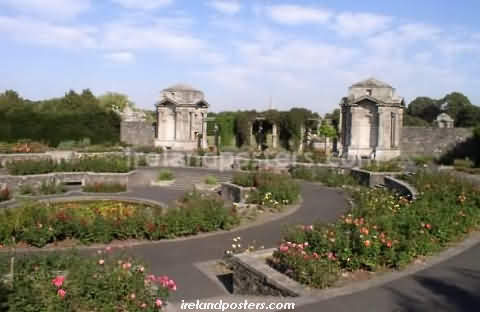 The Irish National Memorial Gardens located at Islandbridge Dublin on the south bank of the River Liffey, are dedicated to the memory of the thousands of Irish soldiers who died while serving with the British Army during the 1914-1918 Great War. Designed by architect Sir Edward Lutyens (1869-1944), they cover an area of 60 acres & were laid out between 1931 & 1938. During her state visit to Ireland in May 2011, Queen Elizabeth laid a wreath at the memorial gardens. 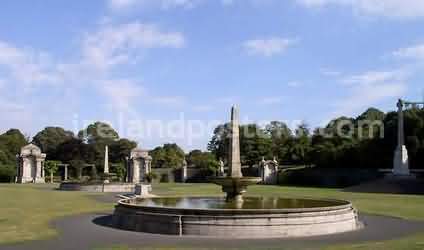 Images of the National War Memorial Gardens at Islandbridge, Dublin City Ireland. The names of the 49,400 Irish soldiers who died in the 1914-1918 war are contained in the granite bookrooms. 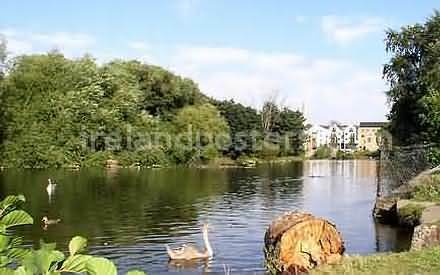 The River Liffey - photographed beside Ireland's National War Memorial Gardens. 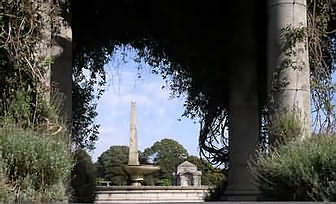 The original plans for the war memorial gardens envisaged a pedestrian bridge across the Liffey, which would link the gardens to the nearby Phoenix Park. Original Dublin photographs © Irelandposters. British Army World War 1 recruitment poster depicting sinking RMS Lusitania on 7th May 1915, 11Kms off the Old Head of Kinsale, Co. Cork Ireland. Video in memory of WW1 soldiers at Gallipoli, where almost 4000 members of the Royal Dublin Fusiliers lost their lives. 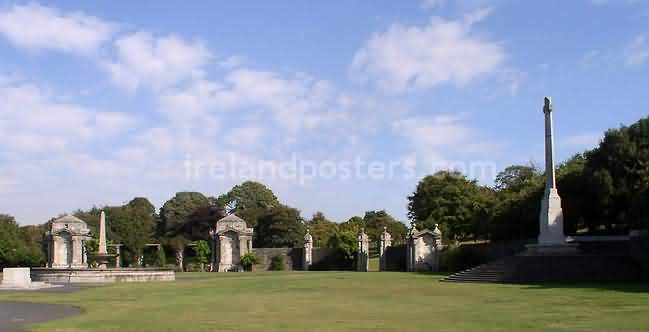 Images of Dublin's Phoenix Park & Wellington Monument. Photo gallery of famous Dublin landmarks & historic Irish monuments with location information. Irish posters & Ireland photos - home page.